We have to admit to having a special fondness for the appellation of St. Julien. Rather unfairly, there are no first growths here but there are several contenders for a first growth crown, nicknamed the “super seconds” and including Léoville Las Cases and Ducru-Beaucaillou. We love St. Julien because of the consistency of its wines; they never disappoint. St. Julien is the smallest of the Médoc communes with only 910 hectares under vine but almost 95 % is classified growths. However, the largest classified growth in the Médoc is found here at Chateau Lagrange with 123 hectares. The wines are similar to those of Pauillac but often softer and fruitier with pure, fresh flavours. Like Pauillac, they pair well with roasted and grilled meats, hard cheeses and game. 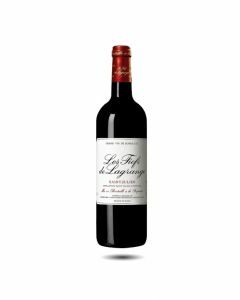 There is quite a range of styles from the austere elegance of Léoville Las Cases (which seems often to taste more like a Pauillac than a St. Julien) to the traditional charms of Léoville Barton. The region is formed as a rectangle roughly 3.5 kilometers wide by 5.5 kilometers long with Gruaud Larose representing its highest point. Its soils range from stony, pebbly to sandy gravel to clay. It is these well-drained gravels that provide the genius of the St. Julien terroir.